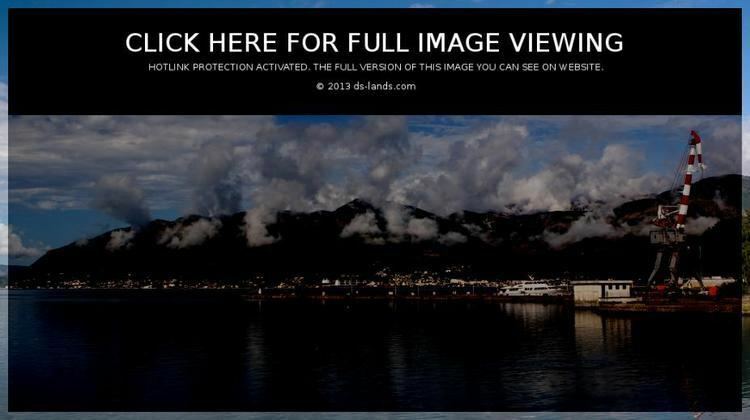 Tivat (Montenegrin Cyrillic: ???? ?, , Italian: ) is a coastal town in southwest Montenegro, located in the Bay of Kotor. As of 2011, its population was 14,111. Tivat is the centre of Tivat Municipality, which is the smallest municipality by area in Montenegro. The name Tivat apparently goes back to the 3rd century BC. According to most sources, the name comes from the old Illyric queen Teute, who had a residence was in Risan and a summer residence between the church of St Roco in Donja Lastva and Seljanovo. The name could also come from the names of old Christian saints: Saint Theodulus, Theodocius or Theodotus. Besides the popular name Theudo, a Latin expression Latus Tiuveti comes from the 16th century. Finally, the name could originate from Celtic word "touto", town. Tivat, the youngest town in the Boka area was established on the plateau at the bottom of Vrmac. According to the archives of Kotor (then called "Cattaro"), the following names were mentioned here in the 14th century: Teude, Theode, and Theudo who are related to the queen Teuta. Archeological discoveries in modern times show that this area had been inhabited from prehistoric times. Many locations show that there were old Roman and Greek settlements there. Tombs and tombstones from the Roman period were discovered in Lastva and Opatovo. During the Middle Ages the fertile lands of the area belonged mostly to the aristocrats of Cattaro, Prcanj and Dobrota. Estates, castles and chalets were there as well as the collective church of St. Anton dating from 1373. Part of this inheritance, which was the property of the wealthy Dalmatian Italian Buca family, is a historic chalet which today houses Tivat’s museums and galleries. The residence of the metropolitan of the Zetan diocese was built from the 13th to the 15th century on Prevlaka Island. Tivat (called Teodo in the Venetian language), was under the Republic of Venice as a part of Albania Veneta from 1420 to 1797. In those centuries Teodo enjoyed economic development that attracted many Serbs as refugees from Ottoman-held areas. Some Venetian-style buildings are still standing today. 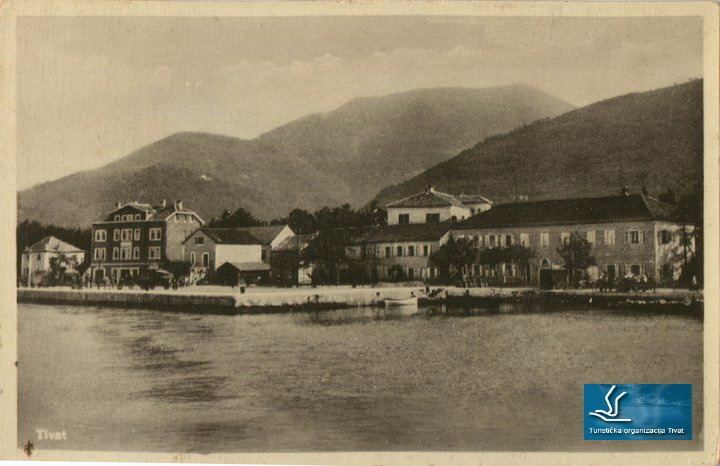 Rapid development of Tivat started in the second half of 19th century when the Austrian empire built a maritime arsenal for its fleet. Still the town shaped itself by developing small industry. In the beginning of 1918, in the Tivat Bay sailors revolted against the mighty Austrian empire. With great approval and support, people from this area followed their revolutionary actions. The period between two world wars was marked with syndicate activity in Racica, Krtoli and Arsenal. Between 1941 and 1943 the town was part of the Italian Governatorate of Dalmatia. In 1889 the Naval arsenal was built by Austrians, and was later used as a naval military base of the Italian Navy, the Yugoslav Peoples Army and the Army of Montenegro. The JNA enjoyed an international reputation as a powerful, well-equipped, and well-trained force. The base was also used by Russia and Libya as the technical base for maintenance, repair and overhaul (MRO) of their ships and submarines. The new owner of the naval base, Canadian billionaire Peter Munk, announced plans in 2011 to build in Tivat a luxury marina for mega-yachts, "Porto Montenegro ", which he claims will turn the city into the "Monaco of the southern Adriatic." Tivat is located in the central part of the Boka, south of mount Vrmac. The municipality lies mostly south of the town, and has an exit to open sea at the tourist location Przno inlet near Radovici village to the south. Its central part, where Tivat Airport is located, lies in fertile Grbalj valley. The airport is located near the isthmus of Lustica peninsula, which belongs to the municipality of Herceg Novi for the most part. Its geographical position, climate and natural beauty make it an attractive tourist destination. Boka was described and celebrated in verse by many poets, writers and scientists: Vuk Karadzic, Ljubomir Nenadovic, Njegos, Matavulj, Laza Kostic, Santic, Jovan Cvijic and many others. Boka has captured many writers of travels from England, Germany and France, among them: Padget, Lamb, Fraser, Gilles Verne and Pierre Loti. American Boyd said: ”God made the world in six days, and on the seventh day he took his time and created this fjord under Lovcen.” With its mild Mediterranean climate, evergreen and rich flora, many sunny days and calm sea in the bay, Tivat is equally suitable for summer and winter holidays. Tivat has about 14,000 inhabitants. It is 19 kilometres (12 miles) away from Herceg Novi, 17 km (10.6 mi) away from Kotor, 23 km (14 mi) away from Budva, 80 km (50 mi) from Dubrovnik and 90 km (56 mi) from Podgorica. Geomorphologically, Tivat is composed of three areas. The first is the hills and peaks of Vrmac, Velji Vrh (710 metres (2,329 feet)) and Popova glava (584 metres (1,916 feet)). Water activity formed capes Seljanovo, Pakovo and Racica. The second area is Tivat field, flattened by water activity. The third area is Krtoli with islands – Island of Flowers, St Marco, and Lady of Mercy which is bordered by Topljansko-Novski bay on the north-west and to Grbalj area on the south-east. 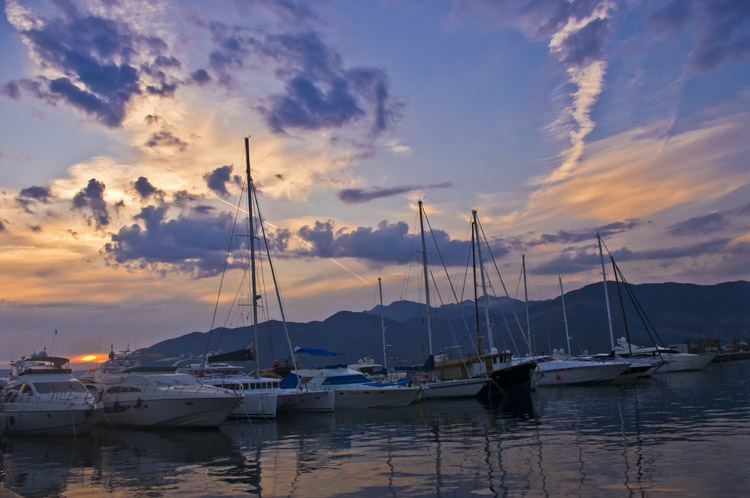 Already a popular tourist resort, Tivat is set to become a nautical tourism centre for the southern Adriatic. The inlets near Prevlaka, as well as the localities of Zupa and Kalimanj, provide great conditions for the construction of marinas and yachting clubs. Canadian businessman Peter Munk bought a naval shipyard in Tivat, intending to transform it into a luxury vacation resort and a marina for luxury yachts. In 1971 Tivat Airport acquired a modern runway and is now a significant airport for foreign air traffic. It served 573,914 passengers in 2007. Although it is the youngest town in the Boka region, Tivat has many attractive destinations. Renaissance Summer House Buca in the centre of city, Ostrvo Cvijeca (Flowers’ Island) with sacred monuments, Gornja Lastva, the old nucleus at an altitude of 300 m (984.25 ft), the magnificent sandy beach at Plavi Horizonti and the Sveti Marko Island with ex-Club Med cottages are the most visited. In the city itself there is the natural port Kalimanj. There is also a choice of cultural events, such as "Bocce Olympiad" and "Summer Fest". 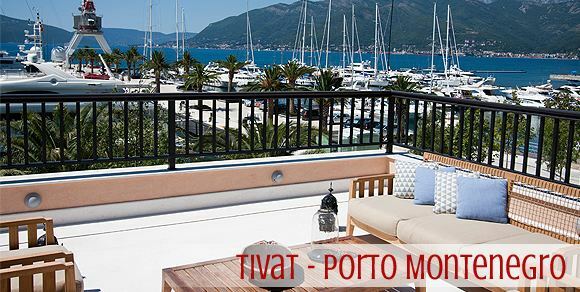 Tivat boasts a botanic garden planted with gifts from Bokan sailors who brought back a wide variety of exotic tree species and ornamental plants from their voyages.Now, in the center of the town, there is a port for yachts and mega yachts called Porto Montenegro. It is very popular and beautiful place to visit, though some hotels and apartments there are still in the process of construction.